Our stunning campuses present a wide variety of location possibilities for your upcoming film, video or photography production. We offer external and internal shots. 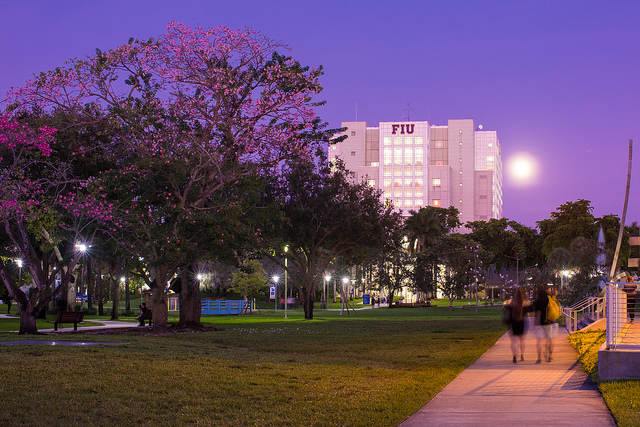 FIU has natural areas, distinctive buildings, S.T.A.R. Center (hospital setting), conference rooms, lobbies and auditoriums. 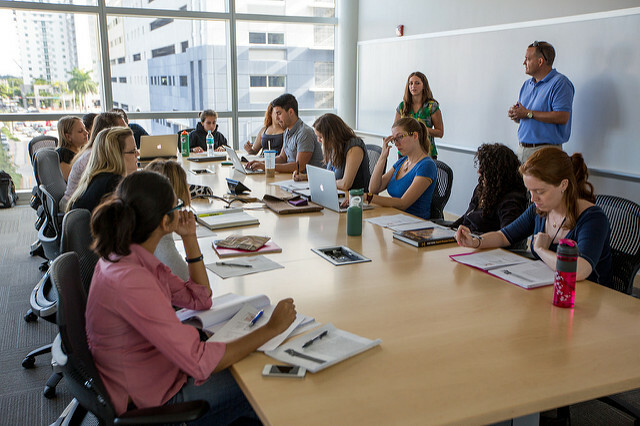 Our office will coordinate all university-related services, making your location shoot run smoothly. See our Scout Viewbook to explore the areas we have available. Florida International University, owns the exclusive rights to images of its building, grounds, landmarks and all other property. We own all the exclusive rights to our name, marks and official symbols. Therefore, a written permission to use any of the university’s property for filming and still photography for entertainment, commercial or freelance purposes is required. 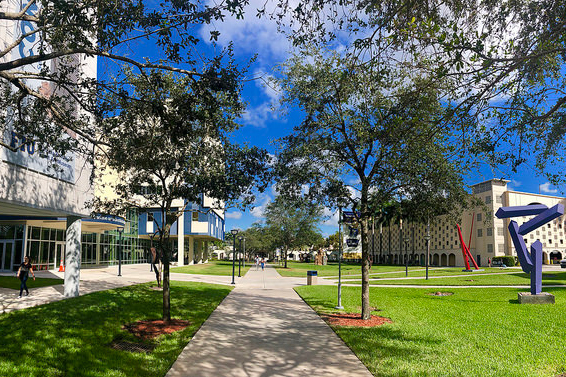 FIU protects its name and landmarks from inappropriate commercial use but strives to cooperate with film producers and photographers interested in using FIU’s facilities. A production will be considered in terms of its size of production, footprint, complexity and what degree it might disrupt classes and other normal campus activities. Academic business is always priority before a filming and still photo-shoot is considered. External Relations only works with commercial filming and still photo shoots. Filming permission is not required for individuals recording only for personal or private use or for employees of print or electronic news media for "breaking news" events. Students and faculty filming exclusively for educational purposes don't require our permission either. Any news or documentary projects which feature the university or its students and/or faculty should go through the media relations office for approval and assistance. Contact number: 305-348-2232. Filming production must be received 14 days in advance before any filming or photography can take place. Scripts or storyline need to be approved by External Relations. 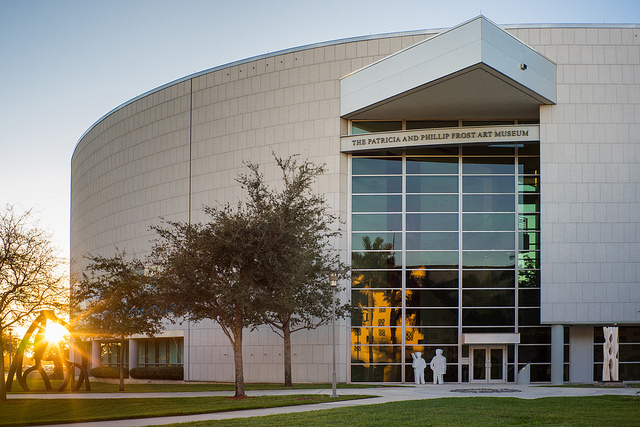 FIU’s Parking & Transportation has provided a parking plan for all production vehicles and personal cars. Full payment of all fees and other estimated charged should be provided to External Relations no less than one business day prior to filming. The location agreement contract must be completed and return to the External Relations department prior to any filming or photo shoot can take place. FIU has prepared the location agreement; the contract is to be signed by the appropriate official of the production company and the Vice President of External Relations. A shoot will be considered confirmed when both parties have signed this contract. 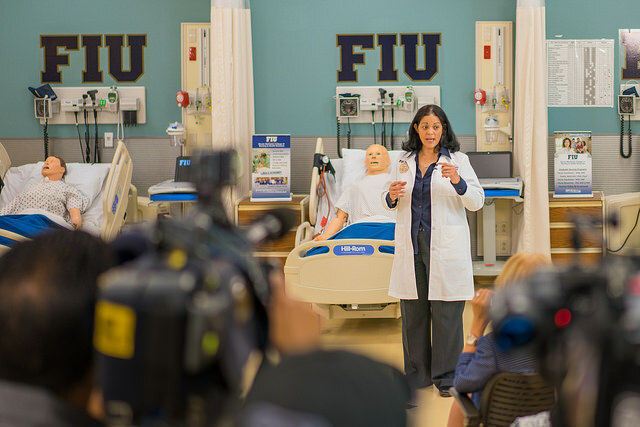 The production company must provide FIU with an insurance certificate and check for the full amount of the location fee at least one day before the production begins. Any representation of official FIU logos or seals is prohibited. There should be no mention or recognition given to FIU, unless specifically authorized. Filming and photography production companies will be charged a location fee. The External Relations department will determine this fee. The production companies will pay all incurred expenses (if applicable) such as: public safety, janitorial services, overtime, etc. these fees will be determined by a case-by-case basis. Specialty Area: STAR Center, BBC Pool, Frost Art Museum and others will incur a minimum daily fee of $6,500. Parking & Transportation will facilitate all parking arrangements. Parking on campus needs permits or the production crew can park in paybyphone /meter parking spaces. Arrangements for cast, crew and production vehicles (RV’s, mobile trucks, generators, lighting trucks, etc.) need to be made in advance. Parking in disabled or unauthorized spaces is never permitted. A final parking plan will be discussed prior to filming. 14 days out - Request for filming and/or photography submitted with detailed information about production, locations, dates, time and script for preliminary approval. Location agreement prepared and distributed. 4 days out - Walk-through of locations; meeting between location scout, External Relations representative and FIU department representative involved. 3 days before the production - Other departments such as Public Safety, and P&T distributed a plan if necessary. 2 days before the production - Final approval given by all parties /location agreement signed. (At this point, locations, dates, time (everything else) are approved. If Production company decides to change anything after this point we cannot guarantee that the interested location, date or time will be available with such short notice and additional fees may be applied. 1 day before production - Check for full amount of location fee provided.